Birth records may be obtained in the office of the County Clerk, by mail or online through Vitalchek.com. Certified copies may only be obtained by the individual who is listed on the birth certificate (if he/she is 18 years of age or older, by a parent named on the birth certificate, or by an authorized legal representative. A certified copy is a legal document with both the county and state seals. Our office provides “long form” certificates with both parents’ names listed. The fee is $10.00 and $4.00 for each additional copy. If you order online, there will be additional surcharges for processing and shipping. Please include a self-addressed postage paid envelope with each order. Death records may be obtained in the office of the County Clerk, by mail or online through Vitalchek.com. Certified copies may be obtained by any individual who has a personal or legal interest in the record of the deceased. The fee for a certified death certificate is $14.00 for the first copy, and $8.00 for additional copies. If you order online, there will be additional surcharges for processing and shipping. Marriage records may be obtained in the office of the County Clerk, by mail or online through Vitalchek.com. Certified copies may be obtained by one of the individuals to whom the record of marriage belongs or a legal representative of either party of the marriage records unless otherwise authorized. The cost for a certified marriage certificate is $10.00 for the first copy, and $4.00 for additional copies. If you order online, there will be additional surcharges for processing and shipping. Genealogy records can be obtained from the Kankakee County Clerk. Anyone doing family history can request an non-certified copy of a genealogical record. 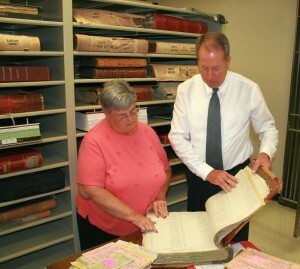 You can obtain the records by visiting our site KankakeeGenealogy.com, mailing in a request or visiting our office. If submitting a mail request, please include detailed information of the record you are requesting along with a check/money order for $10, a self addressed postage paid envelope, and a copy of your Driver’s License or photo ID. The marriage records begin in 1853. Death Records begin in 1877, and birth records begin in 1878. 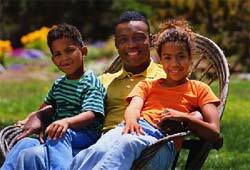 Download a form for obtaining genealogical records by mail. For your convenience, you can process online requests through an independent company that the Kankakee County Clerk has partnered with to provide you this service; Vitalchek Network, Inc. Vitalchek can be reached through their website by clicking here. An additional fee is charged by VitalChek for this service, and all major credit cards are accepted, including American Express, Discover, MasterCard or Visa.